Bicyclists are accustomed to being marginalized in the media. Especially the broadcast media, which almost never features bicycling in plots, settings, storylines, or characters. Television news enthusiastically covers every gas price hike or traffic situation affecting motorists, which is understandable considering that a huge percentage of TV advertising revenue comes from car makers, oil companies, tire manufacturers, vehicle insurers, and auto loan companies. Just count the commercials next time you watch. The situation may be even worse in cinema. Generally, when bicyclists appear on celluloid, they are presented as marginal outcasts or eccentrics. In films such as The 40-Year-Old Virgin or In & Out (1997, starring Kevin Kline), the films use bike commuting to accentuate the main character's idiosyncrasy. Or the so-bad-it's-hilarious 1986 Kevin Bacon vehicle, Quicksilver , which manages to insult both stockbrokers and bike messengers in one swoop. In The Wizard of Oz, what does the Wicked Witch ride when she's not on her broom? A bicycle (as her Kansas alter-ego). There have been a few outstanding bicycling films, to be sure. My favorites include the standout classic Academy Award-winning Breaking Away (1979, directed by Peter Yates and starring a young Dennis Quaid), the great bike racing film American Flyers (1985, directed by John Badham, starring a young Kevin Costner), and the outstanding French-Canadian film 2 Seconds (2000, directed by Manon Briand). These films feature bicycling as an important component of personal growth or recovery, and are obviously made by people with an authentic understanding and appreciation of bicycling. I was pleasantly surprised by the 1985 film The Man with One Red Shoe , in which Tom Hanks plays a bike-commuting classical violinist and composer who, in one scene, heroically rescues Lori Singer using his bike and a two by four. There are, of course, a healthy handful of foreign films (The Bicycle Thief , Beijing Bicycle ), documentary films (We Are Traffic! & Return of the Scorcher , Still We Ride ), and animated films (The Triplets of Belleville , Pee-wee's Big Adventure ) that present bicycling in a sympathetic light. There are many young filmmakers out there producing short films on bikes or bicycling. 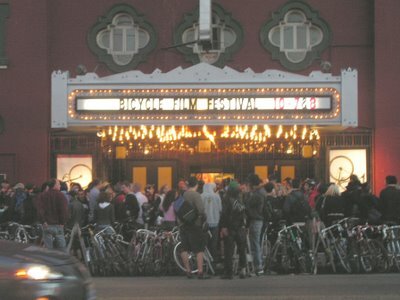 Many of these films are featured in festivals, such as the acclaimed Bicycle Film Festival. I'm generally disappointed that many of these films are overly romanticized portrayals of bike racers or bike messengers--understandably appealing, perhaps, to younger cineastes. These difficult bike professions are important, but they represent a tiny minority of all bicyclists. And YouTube has an abundance of bike shorts. There are many other films that feature bicycling, to be sure. But for the most part bicycling is sadly absent from Hollywood production. Send me your favorite bike film suggestions. Once again, Chevron protects their profits and people die. I grew up in Richmond (not Point Richmond, Richmond). Danny Weinstein was a family friend who died with his head caved in after being hit riding legally on I-580, leaving behind two young children. Dan Dolan was with him and is still in intensive care with a crushed spine. 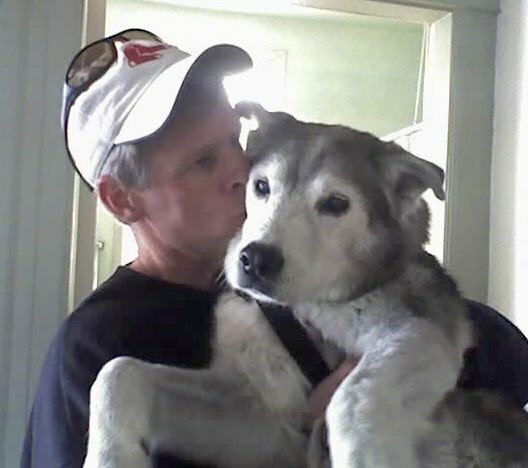 Last I heard, he was under sedation and responding but unable to move his legs. The third cyclist watched his two friends get hit and I can only imagine how troubled he is today. There is no bike path connecting Richmond to the open space at Point Molate, and cyclists are required to ride on the freeway. Despite long efforts, Chevron has insisted that it cannot sign over land to complete the Bay Trail and provide safe bike and pedestrian access to Point Molate. Chevron says that public access for pedestrians and cyclists is a security risk (sound familiar?) but a parking lot even closer to their docks where truckers regularly pull up and take naps is OK. The State Lands commission (gubernatorial appointees) dropped the ball and didn't push Chevron to open up access when they had the chance a few years ago. In short, Chevron is asking people in Richmond--literally, some of the most destitute of all Bay Area residents--and cyclists of all stripes to risk their lives to access open space, and Danny died because of this. It's an environmental issue, a race issue, an equality issue, a quality of life issue and a cycling issue, and now you can do something about it in the easiest, most lazy sort of way. Please read the letter below for the full story. Follow this link to send an email to the relevant politicians. And read the Contra Costa Times story. Image: Web capture. 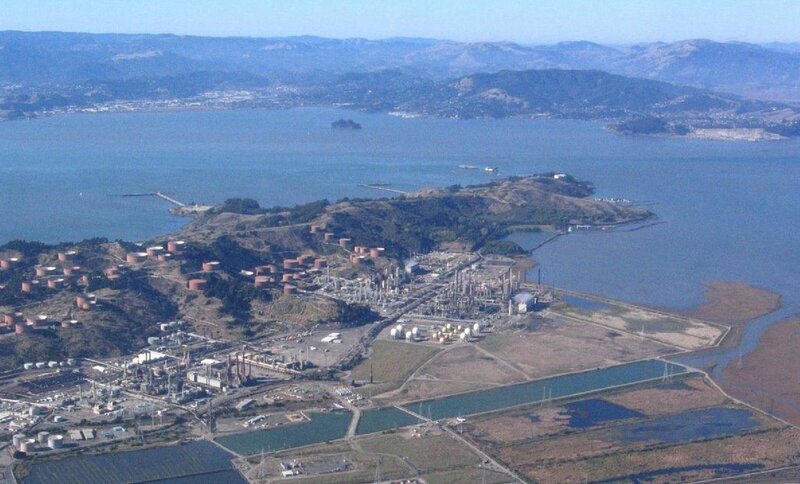 Aerial photo of Chevron refinery at Point Richmond, California. "Sacramento isn't spinning its wheels when it comes to facilitating bicycling. Although there is much more work to be done, the city, for the first time, has earned a bronze ranking from the League of American Bicyclists for its bike paths, bike lanes and other recent improvements. Cycling advocates and the city's transportation department deserve credit for this national recognition as a bicycle friendly community...We can't rest on our laurels..."
I was fortunate to do a lot of bicycling in the Sacramento region, during my time living in nearby Davis. The selection of Sacramento as a bronze level Bicycle Friendly Community by the League of American Bicyclist was well deserved, and a real credit to the efforts of the Sacramento Area Bicycle Advocates. Among other things, Sacramento cyclists enjoy one of the country's best bicycling facilities, the American River Bike Trail (above), a 32-mile Class 1 bike route from Sacramento to Folsom. In addition to attracting thousands of recreational cyclists, the trail also serves as an important bike commuting corridor, providing an alternative to traffic-clogged U.S. 50 and I-80 freeways from the Sierra Nevada foothills to downtown Sacramento. A small minority of "bike rights" advocates are known to object to bike paths, or more accurately, multi-use paths, feeling that the proper place for "serious" bike travelers is on the road. However, paths provide an important option for bicyclists uncomfortable with riding in traffic. 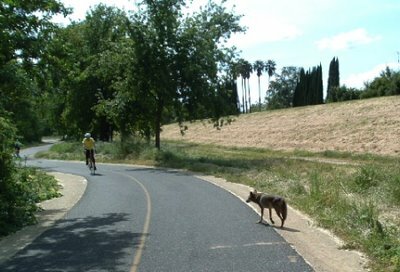 As the American River Trail demonstrates, paths are often more pleasant than congested streets. And many casual cyclists become bike commuters after developing their interest and skills through recreational riding. More facilities like the American River Bike Trail would encourage even more bicycling. 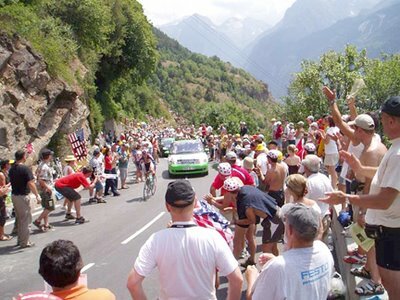 "PARIS (AFP)--A rarely used Pyrenean climb has been included in the 2007 Tour de France route which has been unveiled here by race director Chistian Prudhomme. The July 7 to 29, 3,547km, 20-stage race, which starts in London, takes a clockwise route around the country and includes a summit finish at Aubisque, one of the mythical climbs in the mountains which straddle France and Spain, it was announced Thursday." Bike racing ain't bike commuting. It's like comparing NASCAR to the traffic on the Bay Bridge. However, in recent years, success by American cyclists in the world's greatest bike race has helped to raise awareness of bicycling in the U.S. I had an opportunity to discuss the tour and bicycling recently with my friend Douglas Everett, on his excellent radio program, Radio Parallax. You can download the interview here. Fortunately, good editing made me sound almost intelligent. Usually when bicycling is discussed in the U.S. media, it's because some bicyclist, or more correctly, a person on a bike has been killed by a motorist. It's always a good thing for American bike commuters when the media has lots of positive bicycling coverage. Watch out for those urine tests! It's that time of year again. The dreaded season of the Goathead Thorn plague, also known as Puncture Vine, or to botanists as tribulus terrestris. The daily newspaper of America's leading bicycling community, Davis, California, the Davis Enterprise, had a great story this week on this painful plant by my friend Jeff Hudson. If you are fortunate enough to have part of your bike commute on single track, a rural road, or on a bike path where these plants grow, beware! They are noxious. The best solution is to have a wide swath of this brush cleared from these thoroughfares by the responsible agencies, before it has time to produce these thorns. In many communities, volunteers from local bike clubs will clear the brush. I can't discourage this strongly enough. For one thing, as I've said elsewhere, volunteers are a poor substitute to professional and competent public works staff. Further, brush clearing or road maintenance done by volunteers from bike clubs serves to marginalize bicyclists. It encourages government agencies to avoid taking responsibility to maintain public space for all users. Imagine if hazardous vegetation near a road was impeding vehicule traffic. You can bet the state or county road department would be out there removing it almost immediately. If a public right-of-way is hazardous, get the governing agency to take responsibility. Bicyclists and pedestrians should never accept second-class treatment. If clearing isn't happening often or soon enough, the next best solution is to avoid paths or roads where this pervasive plant proliferates. Sadly, I have yet to hear of any bullet proof tires or puncture-proof inner tubes that effectively resist the Goathead Thorn. 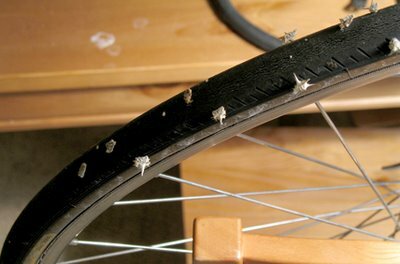 I would love to hear of tires that prove effective. Completely effective. "Want to spend less at the gasoline pump? Lose some weight. That's the implication of a study that says Americans are burning nearly 1 billion more gallons of gasoline each year than they did in 1960 because of their expanding waistlines. 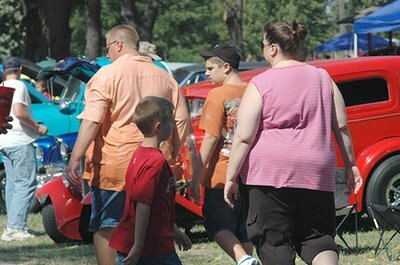 Simply put, more weight in the car means lower gas mileage." 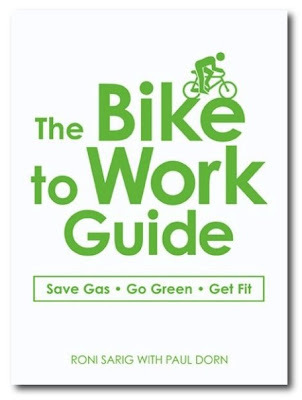 Save gas when you bike commute, save gas when you lose weight bike commuting. This is a great 15-second PSA, produced pro bono for the California Bicycle Coalition by the talented people at EMRL Media Group of Sacramento. At the time I was executive director of CalBike, and hoped to raise enough money to make numerous broadcast quality videotapes, which I planned to send to broadcast outlets across the state. Unfortunately, objections were raised by a small number of non-visionary cyclists (partisans in the so-called "paint-n-path" versus "effective cycling" battle), who considered the PSA to be harmful. They thought it would actually encourage bicycling in the door zone! Clearly they missed the point, prompting this response from me: "The principal objection I have since heard from a small handful is that the cyclist is riding too close to the parked cars. Indeed she is. This is called a "plot device" designed to create dramatic tension and viewer interest." I continue to think it is an outstanding work. So I share it here for your enjoyment. 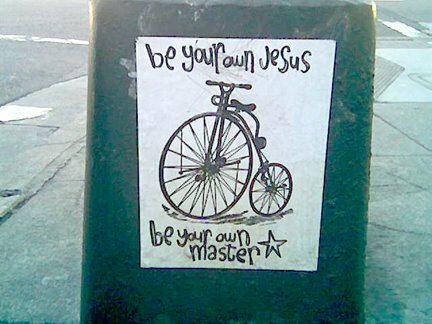 The second interesting angle is how this graffito gives evidence to the way that artists, outcasts, antinomians, creatives, free-thinkers, rebels, and other irreverents have found a home in San Francisco's bike community. There's a sort of bike tribe in San Francisco, which embraces a broad assortment of expressive radicals or would-be radicals, the youthful and the young in spirit. In short, it's cool to be a biker. At least in San Francisco. This cultural trend is hopeful. If transportation choice were simply a matter of efficiency, convenience, and cost, then walking, biking, and transit would predominate. These modes just make more sense. Part of the reason why cycling has grown in popularity in San Francisco--as demonstrated by census figures on commuting showing a 108 percent increase in bike commuting since 1990--is because the bike community has created an appealing cultural home for those dissatisfied by the fossil-fooled status quo. Critical Mass, the San Francisco Bicycle Coalition, the Bike Kitchen, San Francisco Bicycle Ballet, local bike shops, and many others have all fostered a hopeful, fun, and highly attractive bicycling culture in the city. Bike lanes are critically important. But they're not enough. 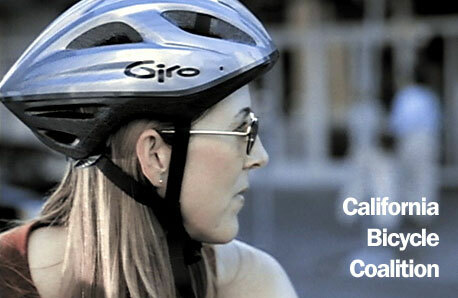 On my bike commuting tips site, I have a special page on safety considerations for women. I had received an email from a woman, concerned about assault while riding her bike. I consulted with several female cyclists I know, including my wife of course, and posted my response. I've since received suggestions from other cyclists, including from one man who even suggested that female bicyclists get firearms training and carry a gun. I can't think of a worse thing to suggest; imagine a cyclist fumbling to get her handgun out of her messenger bag or pannier at the first hint of danger. I'd bet on the assailant getting to the gun before she would. We need fewer guns on the streets, not more. I also advise that bicycling is an activity far safer than driving--among other things, bicycling allows one to avoid the rampant crime at WalMart parking lots. There's a difference between paranoia and appropriate caution. No woman should let fear prevent her from enjoying fun and life-enhancing activities such as bicycling. 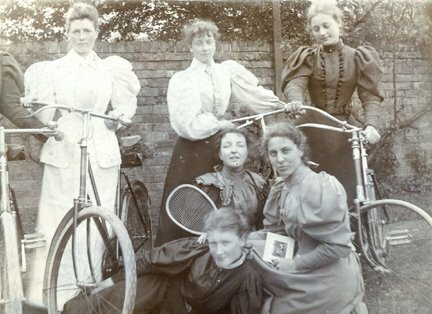 As famed feminist Susan B. Anthony remarked: "The bicycle has done more for the emancipation of women than anything else in the world." The best assurance of safety on a bicycle is confidence: in your machine, in your skills, and in yourself. These symptons are reason enough to give bike commuting a try. Imagine if the billions spent on the so-called "War on Terror" were spent instead creating bike lanes, bike paths, sidewalks, pedestrian crosswalks, and livable street design. 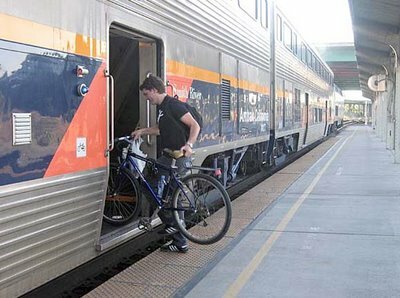 "Trail, train make Sacramento bike trip as easy as it is scenic"
As a former resident of the great city of Davis, California, I am well acquainted with Amtrak's excellent Capitol Corridor service between Sacramento and the Bay Area. It provides a great intermodal connection, as this fine article in the San Francisco Chronicle's Sunday Travel section illustrates. During my time as executive director of the California Bicycle Coalition, I frequently traveled with my bike on the Capitol Corridor between Davis and Sacramento. "Cyclists who wear protective helmets are more likely to be knocked down by passing vehicles, new research from Bath University suggests." Few things are as certain to start a cyberspace flamewar among cyclists as the issue of helmet use. The partisans "for" and "against" are vehement in their attitude. I've noticed that in the last 10 years in San Francisco, the percentage of bicyclists wearing helmets has decreased significantly. (Purely anecdotal observation, not empirical.) 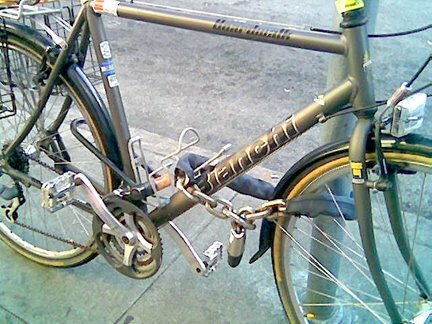 I take this as a sign that bicyclists feel more secure on the streets of San Francisco, thanks in part to the success of the San Francisco Bicycle Coalition. 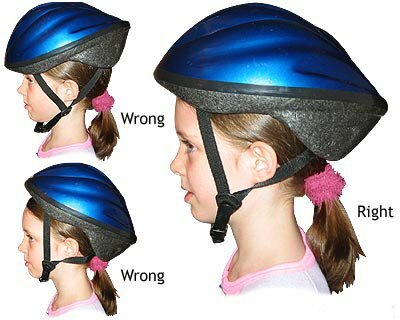 Personally, I advise helmet use for kids and newer bicyclists. However, I don't generally wear a helmet on my daily commute. I do wear a helmet for longer country rides. My goal is to create a cycling environment similar to those of Holland or Japan, where few cyclists wear a helmet. Improved safety is a function of tackling vehicule traffic; it should not be the sole responsibility of the victims of motorists. And compared to most transportation modes, bicycling is extremely safe. "Bicycle Coalition has political clout and backing of public -- but resistance by some motorists is still creating tension." This curious story in the usually bike-hostile San Francisco Chronicle is an interesting testimony to the growing strength of the alternative transporation movement. 1) Traffic calming: Any reduction in ped/bike injuries? Any reduction of vehicular collisions? Impact on property values? Impact on livability? 3) No mention of League of American Bicyclists recent recognition of San Francisco as a "Gold Level" Bicycle-Friendly Community. 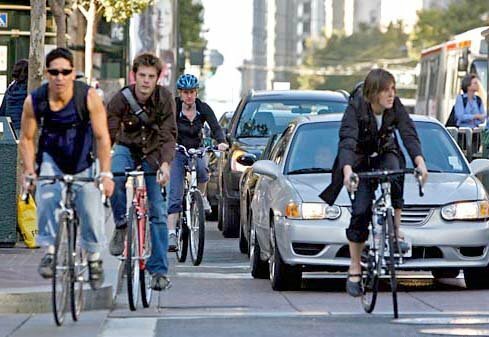 5) Improved public health: any noted trends in SF in past 16 years that might be tied to a doubling of bike commuting? I'm a proud member of the San Francisco Bicycle Coalition, which is an advocacy model for cyclists across the U.S. Organized bicyclists can make a difference. Here's my letter to a Bank of America branch in San Francisco, where I encounter a parked Brinks truck on many mornings. I cc'd this to the city Supervisor for the district, and also to the San Francisco Bicycle Coalition listserve. I later met with Ken Wilson of Brinks at the site on October 13, 2006. He was very considerate, and I'm optimistic we can find a servicable solution. His concern is having the shortest, least vulnerable path for his delivery personnel. A commercial ("white zone") parking space is likely the best possible outcome. I bicycle past your branch every morning enroute to my office at 9th and Irving. The city of San Francisco has invested considerable resources creating a bike lane on Fell Street, which is an important corridor for bicyclists traveling to the western part of the city. Unfortunately, the safety enhancement provided by this bike lane is negated by the Brinks armored truck that blocks it every morning at approximately 9:15 am, forcing bicyclists to move into vehicle traffic to pass. Yesterday (Tuesday) as I moved right to pass the truck, a guard or driver opened the right door just as I passed, causing me to swerve into the path of a UPS truck. I was lucky, just getting an abundant earful of panicked horn blast from the UPS driver. Next time I, or another cyclist, may not be so lucky. 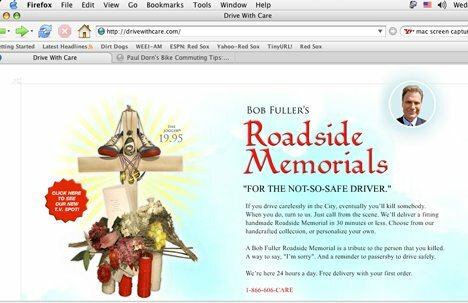 Which will likely result in litigation by the cyclist or her/his estate against Bank of America and/or Brinks. I believe there are several alternatives that will prevent a tragic situation. 1) You have a parking lot located off of Broderick, which could be used by Brinks trucks. 2) Brinks could double park on Broderick, which has less traffic to impede, instead of Fell. 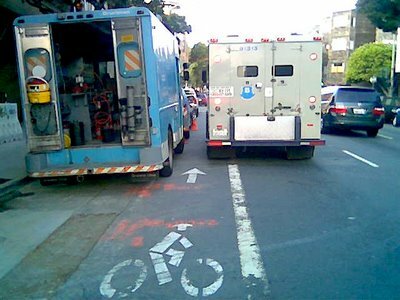 3) Brinks could double park on the right side of Fell, impeding drivers rather than endangering cyclists. 4) Bank of America could ask the city to paint a loading zone in front of your branch. I spoke with one of your colleagues, who directed me to Ken Wilson at Brinks (510-535-4590); who indicated that he will investigate the situation. I write in the hope that Bank of America and Brinks can create a workable solution for all parties. The city's bicycle program staff at DPT and the San Francisco Bicycle Coalition may be helpful in identifying a solution. This is a new public awareness campaign, led by the Chicagoland Bicycle Federation. Check out the TV commercial. It's funny in a subtle, macabre, effective way.